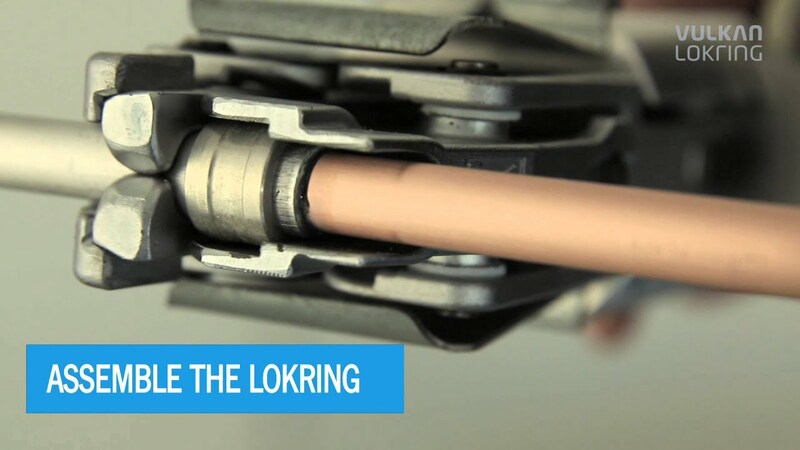 THE LOKRING SINGLE RING TECHNOLOGY is a method for connecting metallic refrigerant lines without brazing so that they are permanent and hermetically sealed. For this purpose, VULKAN Lokring constructs customised LOKRING tube connections for any application based on the tube materials, dimensions and tolerances and the associated assembly tools. The primary area of application is the manufacture of the refrigerant circuit in the series production of refrigerators and freezers. There are other applications for the manufacture of evaporators for automotive air-conditioning systems, for heat exchangers in refrigeration and air-conditioning technology (e.g. manufacture of heat pumps) or with the serial installation of refrigeration and air-conditioning technology (e.g. air-conditioning for buses). Whether it is a matter of optimising costs, improving quality or solving a problem – LOKRING SINGLE RING is the answer! FOR THE LAST 38 YEARS, VULKAN LOKRING HAS DEVELOPED, MANUFACTURED AND MARKETED MECHANICAL TUBE JOINING SYSTEMS FOR REFRIGERANT LINES. VULKAN Lokring is a company that belongs to the VULKAN Group, which is a medium-sized family-owned enterprise for technical industrial applications with its head office in Germany. As a developer of the LOKRING technology, VULKAN Lokring is a market leader in the field of solder-free and non-detachable tube joints. Developed originally for the most extreme conditions encountered in manned space travel, the LOKRING tube joining technique has undergone constant advanced development for applications in commercial refrigeration and air conditioning technology. Therefore, VULKAN Lokring nowadays provides customised solutions for tube connections in the fields of the manufacturing, installation and servicing of refrigeration and air conditioning technology. All from a single source – from separate development for customers to their own production range and right up to sales & service by local subsidiaries or authorised business partners. 2,000,000,000 LOKRING® connections have been successfully used in the industrial volume production of refrigerators, freezers and air conditioning systems. 500,000 Lokrings per day are produced in the 5 international manufacturing facilities of VULKAN Lokring on modern multi-spindle automatic lathe machines and shipped to 83 destination countries. 7,000 customers optimise their international competitive edge by using LOKRING tube connections as cost and quality benefit compared to brazed ones. 650 unique types of Lokring are used at present by customers in order to optimally join tubes made of different materials and combinations of diameters. 100% quality inspection of LOKRING based on automated industrial image processing as part of the certified VULKAN Lokring quality management system.